It has long been recognized that Pan American World Airways was an industry leader in the development of flight operations, technology and procedures. What is little known is Pan American’s history of providing technical assistance to fledgling airlines around the world. As early as 1934, Pan American was already providing technical assistance. From the 1934 Annual Report, the airline boasted of working with the Chinese government in support of China’s aviation programs and highlighted the introduction of “modern flight equipment, new ground radio stations and direction finders.” To be fair, the annual report was a bit ambitious when alluding to the successful cooperation between Pan American and the Chinese. The problem was the weather along the Chinese coastal route of the China National Aviation Corporation. Fog and the wind currents between the mountains and the sea, combined with primitive meteorological support, made flying dangerous and caused two crashes into the hills by the S-38 aircraft sent over from the United States by Pan American. This impaired the airline’s “vaunted reputation for technical skill and concern for safety”, according to Marilyn Bender and Selig Altschul in The Chosen Instrument. Nevertheless, this was one of the earliest instances of Pan American’s technical assistance outside the realm of its operating areas. In addition, up to and during World War II, Pan American provided significant technical support to its Latin America subsidiaries. These airlines sported similar livery to Pan American’s aircraft and were part of the “Pan American Airways System” that covered nearly all destinations in Latin America. After the war and into the post-war decades, these subsidiaries were eventually sold to local investors or nationalized. 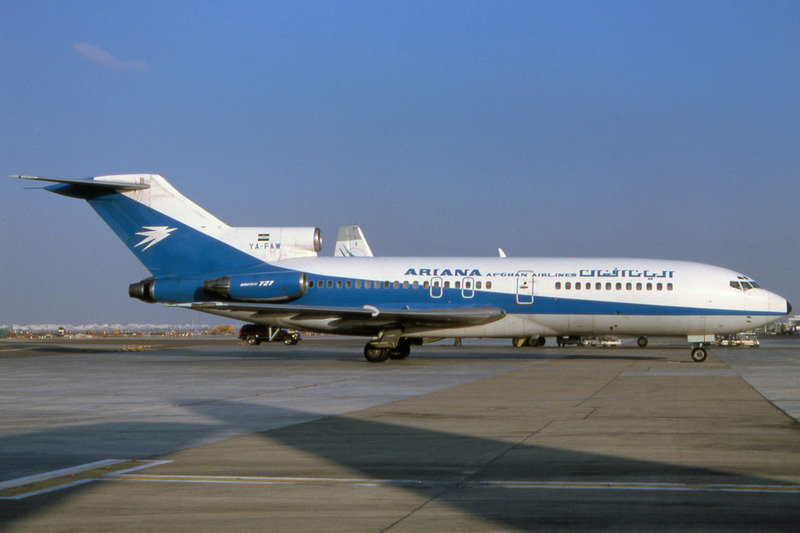 The next year, Pan American added the national flag airline of Afghanistan, Ariana Afghan Airlines, to its programs. In addition it provided the airline with active management under ICA auspices and also participated as a minority shareholder. Over the next few years more than 100 skilled Pan American personnel comprised the specialist teams in these programs, and in 1959 key employees of Pakistan International Airlines Corp. and Ariana Afghan Airlines Company Ltd were trained in the United States in the Participant Training Program sponsored by the ICA and the FAA. Afghan airline hostesses being trained in food-serving procedures. Captain Everett W. Wood, Ariana Chief Pilot and Pan Am instructor, presents pilot stripes to Enaam-ul-Haq Gran. Captain Gran was the first Afghan pilot of Ariana Airlines to receive command status for a four-engine aircraft. In 1965, in cooperation with the US Agency for International Development (USAID), Pan American began providing technical assistance to the national airline of the Republic of Guinea, West Africa. Technical assistance was also provided to Iran and was continued in Afghanistan. Later, the airlines of Vietnam and Ghana were added. By 1967, according to that year’s annual report,“[t]wenty-four airlines in all parts of the world have been assisted by Pan Am over the years”. 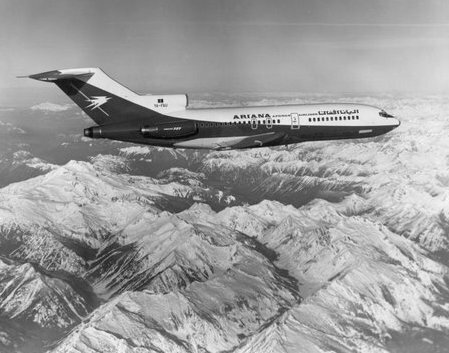 Into the 1970s, Pan American continued to provide technical assistance, management and training to various airlines overseas including Ariana, Iran Air, and Air Zaire. The airline also provided airport management under contract at Roberts Field in Liberia and at Muscat and Salalah, Oman. By 1978, 141 employees were assigned to technical support, mostly overseas. It is not known here when the program was terminated, although no mention is made in annual reports seen subsequent to 1980. The late John Bigelow, a Pan American Captain, spent a year in Afghanistan as part of the TAP, training pilots of Ariana Afghan Airlines. He wrote a story about his experiences in Pan American World Airways – Aviation History Through the Words of its People. John recently passed away and was well known and respected by his peers, that group of pilots hired in the 1960’s known as the “New Hires”. He will be missed. “It all started during the Hajj, the annual Muslim pilgrimage to Mecca, for the faithful, a mandatory rite of passage and a passport to heaven and eternity. For years, Afghan pilgrims had made their way across the deserts and mountains of Afghanistan, Iran, and Saudi Arabia by bus, truck . . . and even camel caravan. But a visionary King, Mohammed Zahir Shah, with the dream of leading his people into the twentieth century, blessed the conception of the country’s first airline. 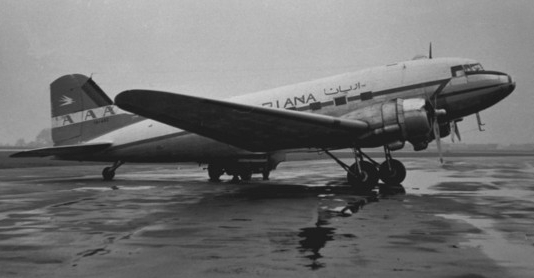 In 1957, Ariana Afghan Airlines was born. At last, pilgrims could fly to Jeddah – the staging point for the pilgrimage to Mecca – in hours rather than days or weeks. “Years later, in early May, 1968, Pan American’s Captain Richard Vinal, Chief Pilot of Latin America, summoned me to his office in Miami. My reaction was predictable. Chief Pilots were not in the habit of asking you in to inquire about your health. I began to formulate complex denials and thought about calling my union representative. I drove over to the office and sat under the suspicious eye of the Chief Pilot’s secretary who, I was convinced, knew of my misdemeanor, whatever it was. At last, I was invited in and asked to sit down. The heavy oak door closed behind me, and I noted with some alarm that Captain Vinal and I were alone. “‘Bigelow, how would you like to go to Afghanistan’? “I had a vague idea where Afghanistan was – somewhere in Africa, I thought. Whatever I’d done was about to condemn me to the other side of the world. So I asked my Chief Pilot for some background to his startling question. A little more kindly now, he explained why we were having this conversation. “‘Sam Miller, our Vice-President of Flight Operations, called me this morning, wanting to know if I had any young, eager pilots interested in a foreign flight training assignment. He thinks you might be ready for something like this. “At the time, I’d been with Pan Am for two years and still felt like a new boy. My wife, Mary Lou, and I talked it over. We discovered Afghanistan was not in Africa but a land-locked kingdom in south-west Asia. To us, it sounded exciting and different, full of adventure and opportunity. “I bought a paperback copy of James Michener’s Caravans and began reading it on the way to New York. I was captivated by what I read, spellbound by descriptions of Kandahar, Kabul, and the Hindu Kush. Suddenly, I was very keen to go there. “My interview with the legendary Sam Miller went well. He had been the commander of the first scheduled commercial flight of a Boeing 707 across the Atlantic in 1958 – a major milestone in Pan Am’s history. Captain Miller was a gracious, quiet-spoken man and, despite his aura, made me feel at ease. He was interested in my pre-Pan Am flying experiences in the Canadian Arctic and Middle East. He had read my personal file and seemed pleased and handed me off to Erskine Rice who headed TAP field operations. “Rice noted, ‘Were you to accept this assignment, you would be assigned as ‘Advisor’ to the Chief Pilot, Rahim Nowroz. You would be responsible to him for assessing pilot standards and recommending steps to improve pilot performance. The Afghan pilots have been trained and released by Boeing instructors, but Charlie Bennett, our project director in Kabul, feels there is a need for ongoing monitoring. “I was their man, and I immediately told him so. He got up smiling, walked around his desk, and we shook hands. Erskine Rice became more guarded when the discussion turned to Rahim Nowroz – the man I would be advising in Afghanistan. He said that Nowroz had a reputation for being difficult at times, adding that he was also the King’s personal pilot, and – oh yes – rumored to have a fondness for drink. “Now I knew I was being conned. No, he wasn’t smiling. He was smirking. “’What am I getting into?‘” I thought. “I was in Kabul when, early in the morning of January 5, 1969, Ariana’s Boeing 727, YA-FAR, crashed three-quarters of a mile short of Runway 27 at London’s Gatwick airport during an instrument approach in a thick, freezing fog. Our chief of maintenance, Ed Mix, had put his daughter Karen on the flight at Kabul. With landing gear and flaps extended, the aircraft briefly touched down in a muddy field before becoming airborne again. The pilot, none other than Captain Nowroz, aware at last that something was wrong, had jammed open the throttles but, seconds before, ten feet of the Boeing’s right wing had been torn away by a large tree. The aircraft began an uncontrolled, climbing roll to the right, and would have become inverted had not a large two story house stood in its way. The house and most of the aircraft then exploded in a large ball of burning kerosene. The cockpit passed inches above the roof and detached itself at the moment of impact, remaining airborne briefly before skidding to a halt in the mud. “Sixty-nine of the ninety-eight passengers and cabin crew burned to death. Of those few who survived, most were difficult to recognize as human, even after months of restorative surgery. One of the survivors, a baby girl lying in her bassinette, a toy clutched in her hands, was unharmed in the smoking rubble. Her parents were not so lucky. “The accident could have been prevented. But because of a perverse and persistent aspect of human nature, people had to die before anything would change. “I still have the bag. “Two days later, he and his wife Libby boarded Pan Am’s round-the world flight, ‘Clipper One’ to New York, with their daughter’s remains in the belly of the 707. “Ed Mix would never return to Afghanistan. “’You will be leaving us soon, won’t you?’ asked my administrative aide, Captain Gran. He answered, ‘We were suspicious of you from the start. I agreed with Rahim – we didn’t need you. Boeing had trained us, and we knew what we needed to know. You were yet another example of an unwanted foreign presence. One way or another, the sooner we could get rid of you, the better. “He paused, took a deep breath, and continued. “This is the part I find most difficult to admit: I began to see what you were trying to do. But because of my loyalty to Rahim, and because, honestly, I was afraid of him, I did nothing. If I had cooperated with you then, and you had left, Rahim would have made my life unbearable. We are a small country. Never forget: Rahim and I are Pashtun, and blood, as they say, runs thicker than water. . . . He continued, ‘What you did – and this is perhaps the most important aspect of your time with us – was to take our natural inclination to compete and to win at any cost, and to turn this inclination into something positive. No longer could we buy our way into the seat of an airplane. No longer was it a question of who we knew or how we were related. Only through training, only through passing through the necessary gates could we expect to succeed. We were all now competing with each other to be the best. . . .
“I thought about what Gran had said. I was flattered by his words, but it went beyond the apparent success of this Afghan endeavor. For me, from its outset, it had been born out of failure. In that moment, I saw what I was really doing here: proving to myself I wasn’t quite the hopeless screw-up I’d always seemed to be. After so many false starts in my life, I’d needed a win. Maybe, at last, I had one. “I went on, ignoring him. “I said to him, ‘You, my friend, belong in an airplane, not behind a desk. You know it. No one ever was killed by paperwork, only inconvenienced. We’ll find someone to fill those administrative duties. I’m recommending that you be appointed Chief Pilot, Training and Check. It’s the only reason I can leave Afghanistan and sleep at night’”.